Hospice care and palliative care would always go hand in hand. With a life-terminating illness when cure is no longer available, the first thing you think of will be to manage the pains and symptoms. And just like in any medical case, there will always be a need for medication to do so. We believe that everyone has the right to a dignified and peaceful ending. We may no longer be able to give medications to treat the disease, we can always help the patient suffer less by giving him drugs that will lessen or eradicate the burden brought about by the sickness. Infinite Hospice Care sending medication wherever the patient are by our contracted pharmacies. 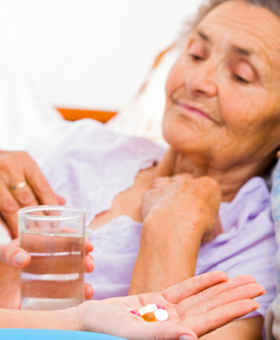 For more information about Infinite Hospice Care and our medications available, call us today at 818-782-2516.